Call it makeover Monday! 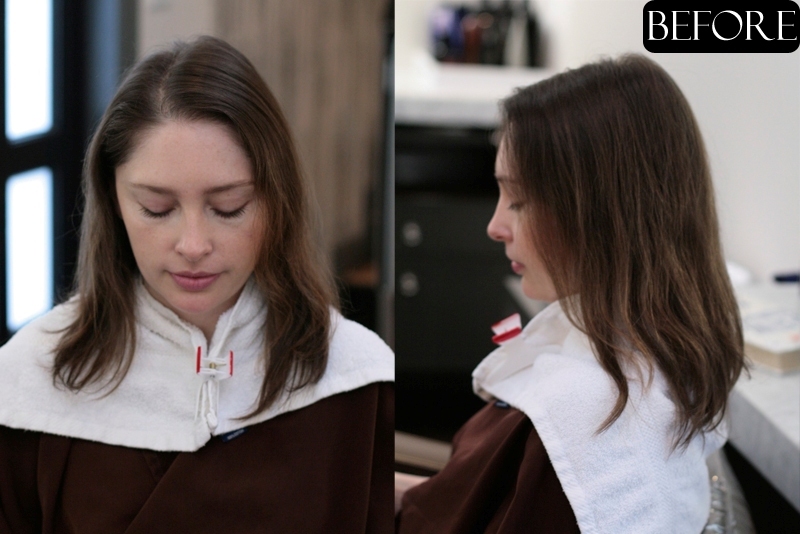 This before and after was shared with us by hair stylist Allie Paronelli and colorist Kazumi Morton. The short and subtle blonde ombre is a refreshing look to this client’s former color and length.